Remember last week's story about Russia's alarming level of domestic abuse? 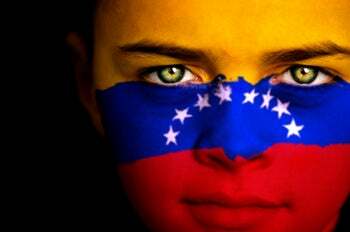 Well Venezuela's situation is not much better, despite a promise from President Hugo Chavez in March, 2007 to ameliorate the incidence of such crimes. A woman dies from domestic violence once an hour in Russia, while every 15 minutes in Venezuela, a woman is attacked. According to a report released last week by Amnesty International, the March 2007 law "defines violence against women as a human rights violation and reaffirms the responsibility of the state and its officials to eradicate it," which one ups Russia, where violence against women is still not a crime. However, Chavez vowed to open more women's shelters, and has not made good on his promise. There are currently only 2 operating shelters in the entirety of Venezuela, a country of approximately 27 million. Carlos Lusverti, Amnesty's general coordinator in Venezuela, told the AP that shelters are pivotal in helping battered women, because "One of the first things you can do is separate them from the place where they are the victim of aggression." Despite Chavez's sketchy track record (in general) he has come through with at least a few of his promises from that 2007 address. According to According to a Venezuelan news blog called Venezuela Analysis, earlier this month, "The Chief Justice of the Supreme Court, Luisa Estela Morales, had created a new tribunal which would focus exclusively on violence against women and will have the capacity to try 5,000 cases per year." But, with 90% of domestic violence cases still unreported, Venezuela has an incredibly long way to go.